Language, Literature and the Learner is an edited volume evolving from three international seminars devoted to the teaching of literature in a second or foreign language. The seminars explicitly addressed the interface between language and literature teaching to investigate the ways in which literature can be used as a resource for language growth at secondary, intermediate and upper-intermediate level. 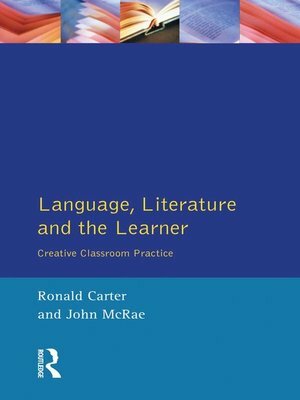 This book presents the reader with a practical classroom-based guide to how the teaching of language and literature, until recently seen as two distinct subjects within the English curriculum, can be used as mutually supportive resources within the classroom. Through essays and case studies it reports on the most recent developments in classroom practice and methodology and suggests ways in which the curriculum could be reshaped to take advantage of this integrated approach. The text will be essential reading for students undertaking PGCE, TESOL/MA, UCLES, CTEFLA, RSA and Teachers' Diploma courses worldwide. Students of applied linguistics, those on stylistics courses and undergraduates studying English language will welcome it as accessible supplementary reading.